In the afternoon enjoy a break with coffee and a piece of cake at our coffee bar in the lobby of the Hotel Victory Therme Erding. 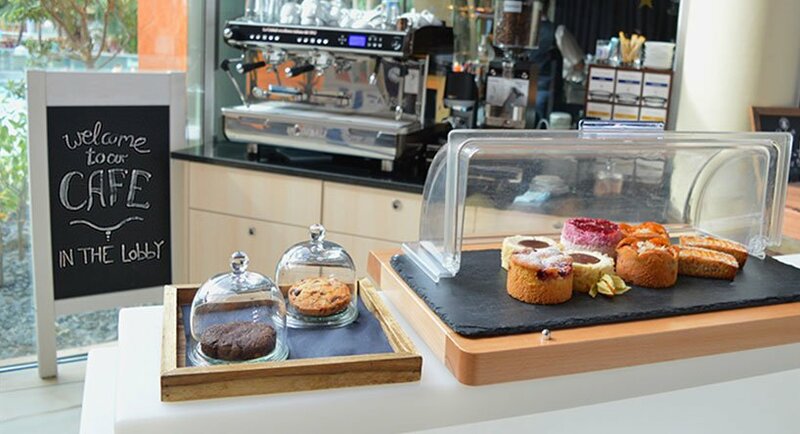 Every day a selection of coffee specialities and delicacies from our in-house confectionery awaits all hotel guests. External visitors are also welcome.